For those of us working in contemporary fiber art, particularly tapestry, not only does politics have a major influence on what our field expresses artistically, it also has a major impact on our field’s inclusion in scholarly art research, on our public visibility, our productivity, our professional opportunities, our organizations’ supports, and on our field’s viability for incoming generations of artists. 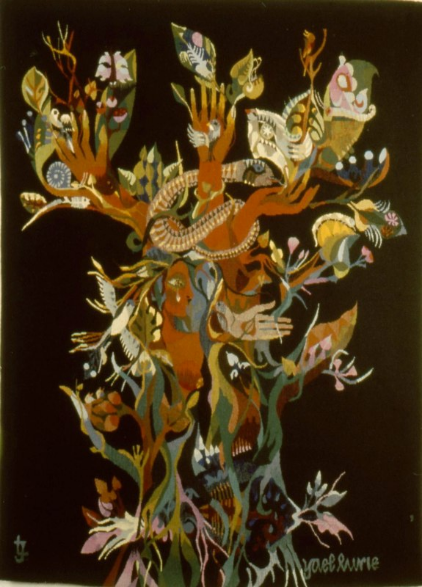 My earlier studies as an Assyriologist influence my perspectives regarding the artistic, aesthetic, and cultural significance of contemporary fiber art, especially tapestry. And my earlier training in academic scholarly research practice and ethics also underlies my professional perspectives on our field’s permanent research record and the viability of the field we all strive so ardently to pass on successfully to new generations. My college studies concentrated first on math, sciences and engineering, and then on Biblical and Classical history including Hebrew and Greek, leading to a B.A. in History of Religion at New York University. I went on to earn a Masters Degree and then a Doctorate in Assyriology in NYU’s Department of Near Eastern Studies. By the time I earned my Ph.D., I was already creating my art work and dedicating myself to it. In the U.S. we are familiar with Egyptology, but as popular as Egyptian art, culture and history are today, ancient Egypt is not the origin of much of our Western civilization. The actual source is ancient Mesopotamia. And in our age of market driven research, we are left stunningly unaware of that source of our history and culture. Assyriology is the study of the cuneiform writing and documents of Mesopotamian cultures ranging from about 3300 to about 600 BCE. Cuneiform began with non-Semitic Sumerian, and proceeded to be used for the Semitic languages of the Babylonian, Akkadian, Assyrian and Ugaritic cultures, among others. At its height, Akkadian cuneiform was the diplomatic lingua franca of the entire Fertile Crescent in the ancient Near East including Egypt. Most of the fundamentals of our Western culture arise from Mesopotamia, including the roots of our alphabet, our legal system, our sciences, our three major religions, our accounting systems, our ideas of universal weights and measures, our 12 month calendar, and on and on. It is thought that even the name, “Europe”, comes from a Babylonian root from which the word “Arab” is also derived. This is a major reason why I am acutely aware that contemporary fiber art in the U.S. reflecting our ancient Near Eastern roots has always been highly significant in expressing today’s world politically and aesthetically, especially in my home town, New York City, and particularly since 2001. 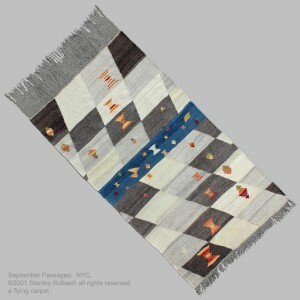 Over the past third of a century, I have created flatwoven carpets based upon the timeless, traditional techniques, materials, and functions of the Near East, with my own original artistic designs, all intended to be enjoyed as contemporary tapestry art on the wall. The traditional uses of carpets as ground coverings for various stages of our life cycle and various states of consciousness are all magical. Life was conceived on carpets used as beds. They were decorated with powerful symbols to help mothers give birth on them. People slept, dreamt, lived and died on them. When laid out by nomads, such carpets transformed foreign earth into a familiar comfortable garden. Today, carpets make special the ground on which millions of people pray. The physical structure of flatwoven tapestry has the potential for highly abstract and mathematical patterns and designs, key elements of music. To secure the glowing luster wools similar to those historically prized in carpets, I work with growers of rare sheep breeds and handspin my own yarns. While enjoying the rich character of the early palette of dyes, I have increasingly reveled in the natural shades and abrash of the colored luster wools themselves. I enjoy the challenge of the willful aesthetic qualities of the non-industrialized yarns and dyes. This art form is similar to the aesthetic of Japanese raku pottery that celebrates the materials’ natural characteristics. This art form weaves together who we are, where we came from, and where we are going, along with the mystery and beauty of magically transforming the original materials and techniques into classical treasures. 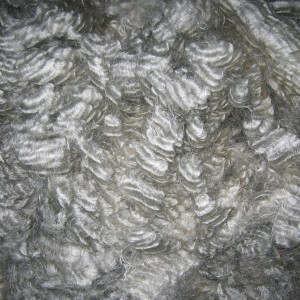 Lustrous silver Lincoln longwool fleece. But I am not at this conference today to discuss my art work. That information can be found on my website — www.bulbach.com — which I understand to be the most extensive and informative fiber artist website on the entire internet. The reason I am here today at the Textile Society of America conference with the American Tapestry Alliance is to ask why this type of art work — fiber art — is deemed “less significant” in the scholarly academic research record on our field of contemporary art. I am also here to ask why that art research claims to be accurate and reliable, while glossing over our field’s accomplishments and perpetuating an inaccurate record that leaves our field of art virtually invisible. And I am here to ask where the due diligence absolutely required in research to support a judgement of “less significant” has been taking place. Contrary to what scholarly academic research on the contemporary craft arts records, fiber art is not a field of lesser significance. In fact, the field of fiber art is arguably the largest constituency of all the contemporary craft arts in the U.S. So why has there been a scholarly art research record creating an impression that fiber is only a secondary citizen of that art community? Art research has focused generous attention on, for example, ceramics and glass. So exactly where is the required examination of fiber also taking place? There are a number of crucial factors causing this deficiency. If our field is to be passed on successfully to new generations, the fiber art field needs to start asking those questions openly and constructively. Since the Textile Society of America and the American Tapestry Alliance encourage accurate scholarly research, I would like in our limited time here today to focus on required practices in scholarly academic research. 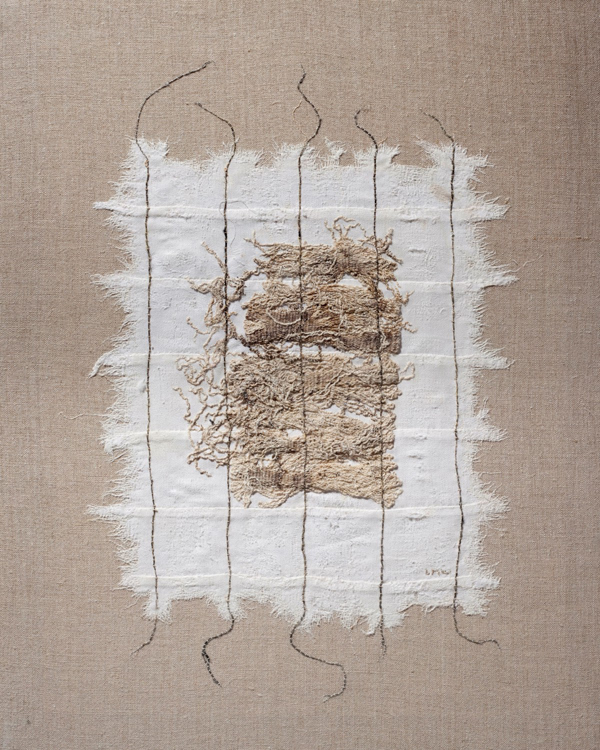 Elissa Auther’s recent book, String, Felt, Thread: The Hierarchy of Art and Craft in American Art,  is a riveting history of aspects of prejudicial art research during the 1960s and 70s. Primarily she details gender prejudice in art research that strongly branded fiber art — a medium traditionally associated with women’s creativity, skill and labor — as less significant, and as a mere craft for hobbyists and not as real art. Shouldn’t both the Textile Society of America and the American Tapestry Alliance be asking more questions about that “intersection of art and commerce”? What role does finance really play in our field’s relative invisibility in research? Is finance what determines what art research looks at and deems to be significant? Is that practice of pre-judgment and pre-screening really supposed to be accurate reliable scholarly research practice? Is that ethical? No. Numerous books and articles have been published detailing how contemporary art is now researched, exhibited, and recorded largely based on marketing and financial priorities. An excellent primer on this is The $12 Million Dollar Shark: The Curious Economics of Contemporary Art by economist Don Thompson. Glenn Adamson is the Head of Graduate Studies at the Victoria and Albert Museum in London and Co‑Editor of the Journal of Contemporary Craft. Last year he raised a very interesting question in the official membership publication of the American Craft Council asking “Why should you be angry, reader, about the TV commercial for the new Jeep Grand Cherokee?”  He was concerned about misleading, untrue promotional statements in the advertisement about craft and craftsmanship in the production of the cars. It would be interesting to explore holding corporations and Madison Avenue accountable for advertising claims. But what is far more interesting, however, is the research question Dr. Adamson didn’t ask when writing about the “fraudulence of the jeep ad”. The Head of Graduate Studies of the Victoria and Albert Museum didn’t ask if readers should be angry if scholarly academic art research itself makes misleading, untrue statements. He didn’t ask if art research by museums and universities is “fraudulent” if an impression has been made that fiber was surveyed and examined before it is judged, if it turns out that fiber is actually not being examined. After all, it is university and museum art researchers, not commercial corporations, that claim professional codes of the highest ethical standards in research. For another example, Jenelle Porter, now Senior Curator at the Institute of Contemporary Art in Boston, wrote in 2006 that commercial art galleries were prejudiced against women artists in what those commercial art galleries select, exhibit, promote, advertise, and sell for profit. Here is yet another senior institutional art researcher raising more ethical questions about how commercial businesses promote their sales inventories. But once again, the germane question is not how art stores promote their inventories, but how research institutions execute their professional research. On its official website  the Institute of Contemporary Art currently states: “The ICA aims to present the most significant contemporary art to Boston audiences, therefore opportunities for inclusion in our exhibitions are very limited and highly competitive.” But then the ICA contradicts itself, explaining that it “does not develop its exhibition program from unsolicited submissions, and we regret that our resources do not allow for curatorial review of these projects.” So then, what work does the ICA examine in fulfillment of its impressive academic claim? The ICA’s website explains that its curators “consider works from local, national, and international sources including commercial galleries, museums, private collections, and art fairs.” That is to say, the ICA fulfils its sweeping public research claim largely by prohibiting unsolicited information and instead having commercial sources pre-screen and pre-select what it examines. Then it records that for the public as its own academic quality research. Yet the ICA’s own senior curator herself previously deemed commercial art galleries to be prejudiced sources. Why are the boundary lines distinguishing commercial financial interests from scholarly research ethics so indistinct and murky in these art research institutions? Why are they intentionally muddying the crucial differences between market interests and scholarly professional research practice? Why are they holding the marketplace responsible to ethical standards in their writing, but silent about their own professional ethical requirements? And where is our field discussing this in the broad light of day? Commercial pre-screening in our field of art has been particularly misleading because it is rarely detailed in the final research records. Yet those detailed disclosures are ethically required in scholarly academic research. Why are they required? Because pre-judging is, literally, “prejudice”. The word prejudice comes from the Latin legal term for a pre-judgment that issues a pre-emptive sentencing. Undisclosed pre-screening means art work is being barred or preferred in the research without any accountable examination or record about the discrimination that was applied. Why are art institutions conflating the polar differences between prejudicial commercial promotion and accurate academic research practice? In other fields of research that would ignite a firestorm of discussion. And it is this consideration that brings us full circle back to my original question of what scholarly academic institution has actually been examining contemporary fiber art, particularly tapestry. Where is the research record based on due diligence that the art world believes proves that fiber is less significant and less worthy of examination and inclusion in the record? In preparation for today’s session I asked the Board of the American Tapestry Alliance, contemporary tapestry’s foremost advocate, if they know. Where is that crucial research? Where can it be reviewed? Where are the due diligence and actual examinations of fiber taking place? How are those examinations occurring? 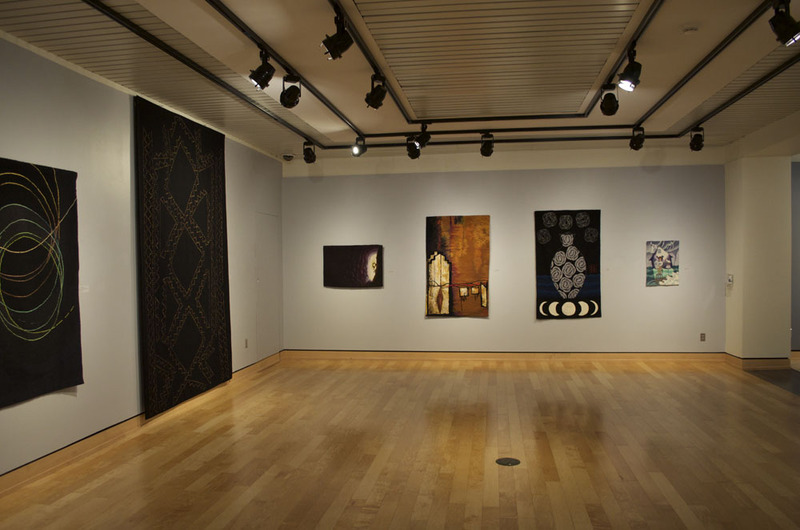 None of the above advocates, authorities, and institutions identified any existing scholarly academic research focusing on contemporary fiber art, particularly contemporary tapestry. So what is going on in our field? Why the silence surrounding academic institutional research practice on our field? Scholarly academic research has a professional code of ethics requiring, among other things, due diligence, accountability, and transparency. If a public impression is being created by art scholars that fiber is being researched and examined in an academic manner ensuring its trustworthiness and accuracy, then that research must be available for review. Our fiber organizations claim to promote advocacy and education. Therefore, they should be striving to ensure that their memberships know that scholarly academic research is entirely different from advertising and commercial promotion. They should be ensuring that their memberships know that such research must be based upon what is called “Best Practices” which must include transparency, sunlight, due diligence, accountability, challenging dialogue, peer review, and full disclosure of all prescreening and conflicts-of-interest. academic fraud, unintentional or intentional. In conclusion, over the past half century, contemporary fiber has been arguably the largest constituency of the contemporary craft arts, having an impressive largesse of organizations, conferences, publications, educational programs, teachers, artists, etc. But in the research record of art museums and university art departments contemporary fiber, especially tapestry, is deemed to be less significant than, for example, ceramics or glass. But, if fiber has been as carefully and broadly examined as is professionally required, then why does no one today seem to be able to point to where that scholarly research has been occurring? 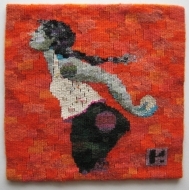 The implication is that contemporary fiber art, especially tapestry, is almost invisible in the formal record because the required due diligence, examination, transparency and accountability on fiber simply do not exist. As someone with credentials in scholarly academic research practice and ethics, I can assure you that, without due diligence, transparency, and accountability, then valid accurate reliable scholarly academic research simply cannot exist either. Fortunately our field has a way to reverse this decades-long branding of “less significant” in purported art research. Many of our fiber organizations have Mission Statement commitments already in place claiming to support accurate research on our field. No less than the Head of Graduate Studies of the V&A has already published a public challenge for us to be angry about commercial distortions. The Senior Curator of the ICA has already gone on record in 2006 that commercial galleries are prejudiced toward commercial priorities. 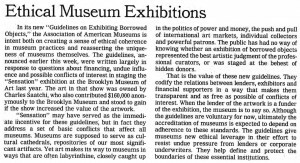 Most importantly, in 2000 the American Alliance of Museums (then the American Association of Museums) even initiated a new Code of Ethics specifically calling for increased transparency in museum research. Editorial. New York Times: August 4, 2000, p. A26. Why haven’t fiber’s own educational and advocacy organizations encouraged open discussion challenging the research distortions dogging our field of fiber? Young fiberists should take notice of the tragic irony of this. On the one hand, you can enjoy the benefits of the Olympian achievement of the past half century where fiber traditions and skills were preserved from certain extinction under industrialization. On the other hand, the field we pass on to you will confine your work to being branded as less significant and merely a hobby. If you do wish your field and your work to be examined more carefully and not preemptively pre-screened as “less significant”, then begin inspecting the art research on our field openly in the broad light of day. Begin calling for the safeguards required in its professional ethical codes. It has been over a decade now since the American Alliance of Museums has made transparency the keystone to its professional ethical code. The younger generation no longer has to wait any more to secure this transparency, due diligence, and accountability. You can now call for research’s required elements yourselves. Just start speaking out about it openly. The word “advocacy” comes from the word “voice”. 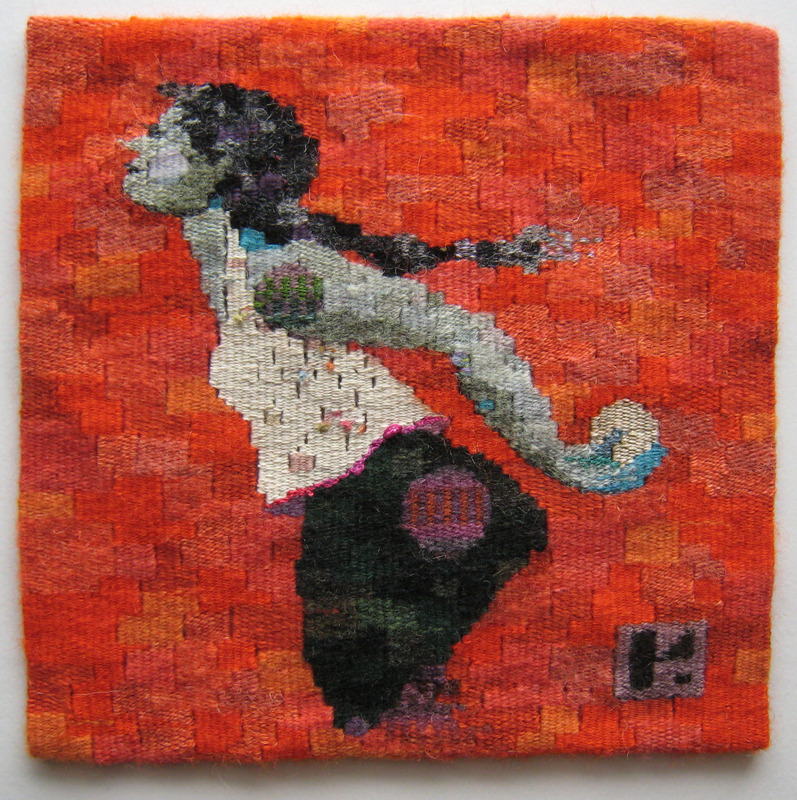 At some point real advocacy for contemporary fiber art, especially tapestry, has to start becoming vocal and audible. Why not now? Why not at the American Tapestry Alliance? Why not at the Textile Society of America? So younger fiberists, start speaking out as if your professional future depends upon it — because your future in the field of fiber truly does depend upon it. Auther, Elissa. (2010). String, Felt, Thread: The Hierarchy of Art and Craft in American Art. Minneapolis: University of Minnesota Press. Rob Pulleyn. (2002, November). Commentary. Where Were the Young Folks? Fiberarts Magazine 30(1), 6-7. A Heartfelt Goodbye. (June 15, 2011). 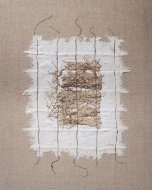 Email from Fiberarts Focus eNewsletter, info@interweave.com. Adamson, Glenn. 2011, April). Craftier Than Thou. American Craft Magazine 71(2), 102. Did not respond to multiple queries carbon-copied to ATA’s session chair. Ethical Museum Exhibitions. (2000, August 4). Editorial. New York Times, A26.